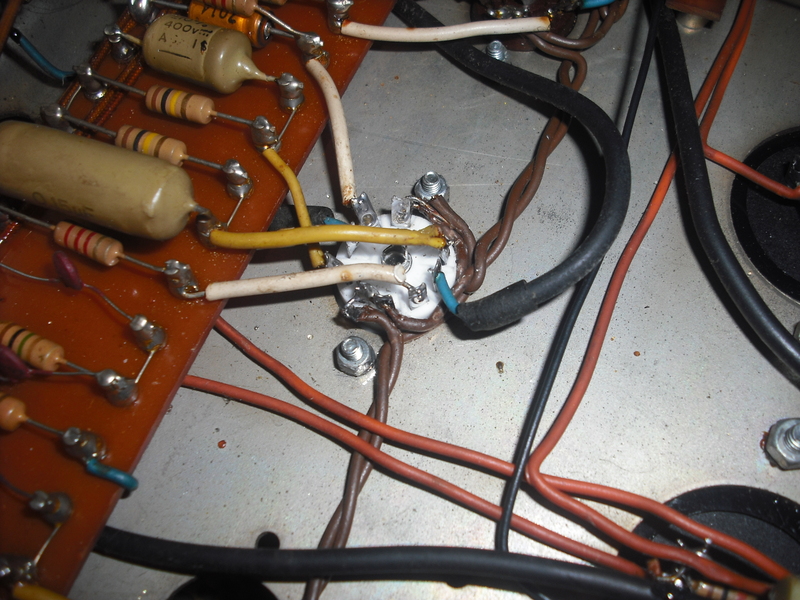 See how the connection to pin 1 is actually just two solder blobs touching each other, kind of hidden under the fuses. 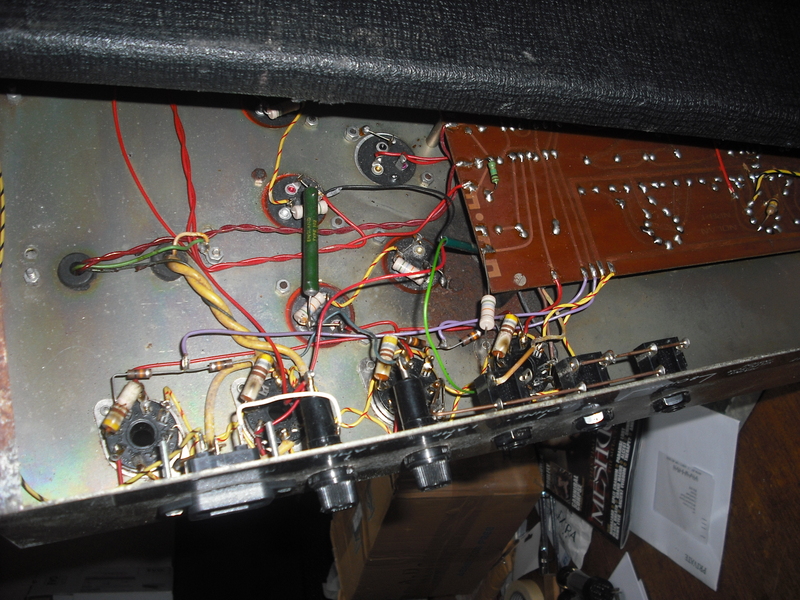 The rest of the soldering is pretty suspect too, redid all of that. See if it works in daytime. All original valves, most of its caps too, kind of itching to replace those because they won’t be at their best by now, the valves all still test good though. It had exploded its bias cap at some point, someone has replace it with a floating radial one, and not bothered tidying up the remnants of the old one, so sorted that an put a new axial one in which should be more reliable since it won’t be bouncing around and fatiguing its legs. 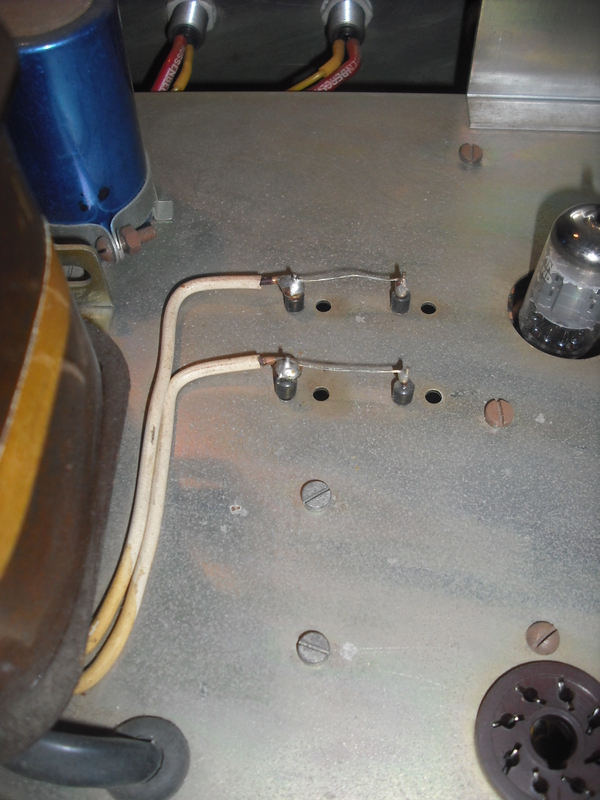 Thick layer of dust came off it too, revealing the finish on the chassis that was as intended, which I hadn’t seen before thanks to the damp places my other ones had been stored in. I’d assume it will also be swearier. 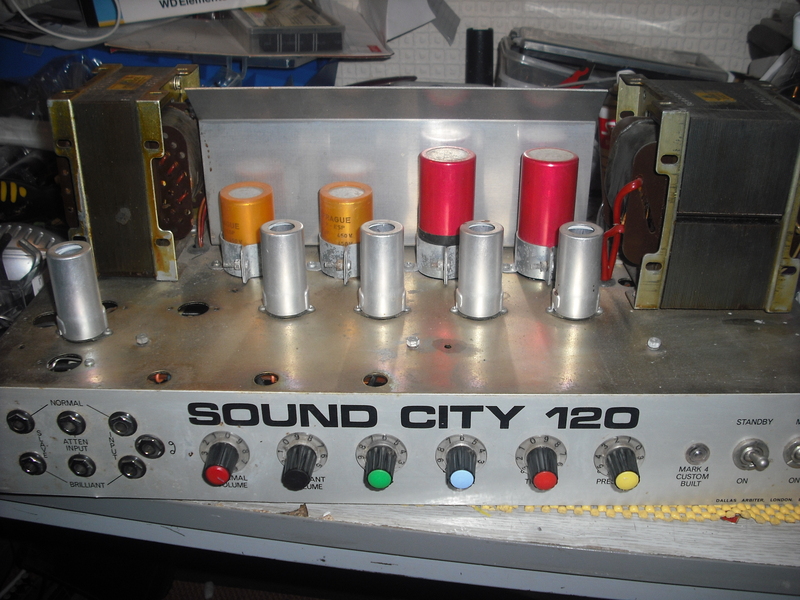 Got an SC120 I had fixed and sold back with some issues, a loose pre valve and using a malfunctioning bass into it were the obvious things. Became apparent that the valve base was not saveable so had to stick a new one it. 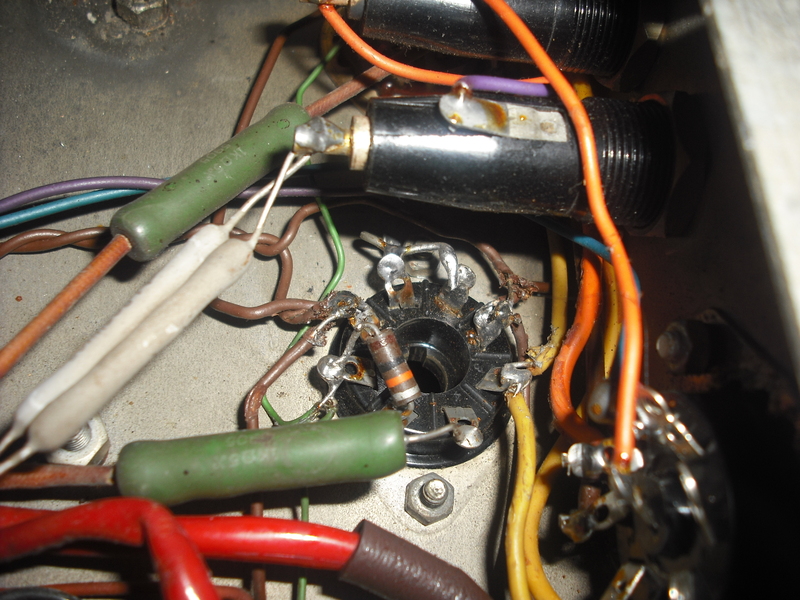 Once that was all going right, its looking a bit like the power valves are a bit tired too, suspecting a not being plugged into a cab or a malfunctioning cab might be the issue there. Not a very interesting pic, but I took a before and after so I could compare and make sure I’d done it right. Flash shows up lumpy solder pretty well. Idea being to show that a quite small drum can make a valid acoustic sound from a quite slack string. 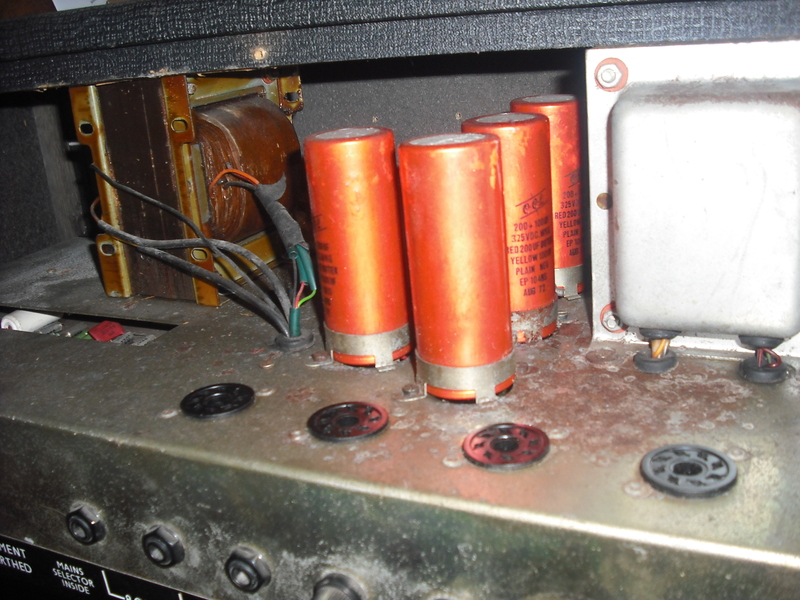 Also the Nolan is a great sounding amp, fired it up for testing, ended up playing for fun. Tried to get all the sleeves scrubbed whilst weather was nice for drying them today. Took pics of the insides while I was at it. Turned out to be more challenging than I though. 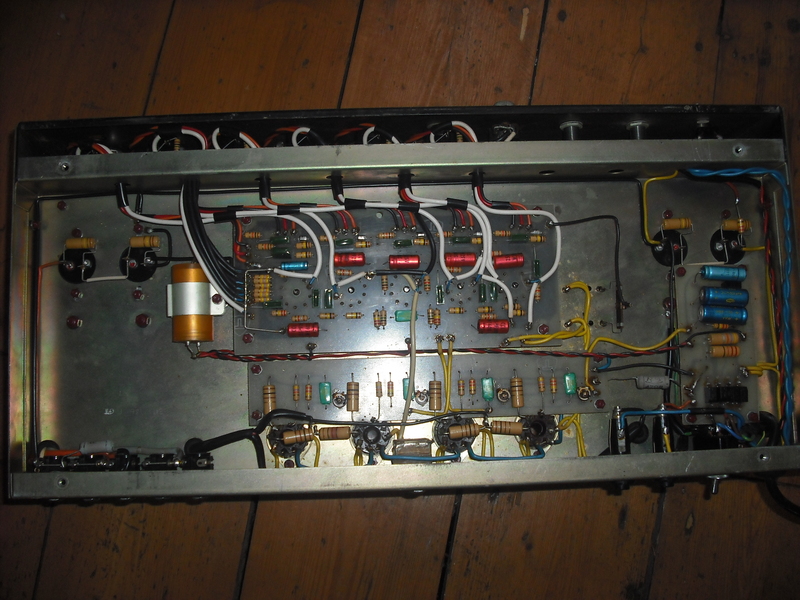 Lame gutshot, showing the PCB, not really very interesting, although the totally crude square hole cut in the chassis for the PCB mount preamp valves is sort of unusual. 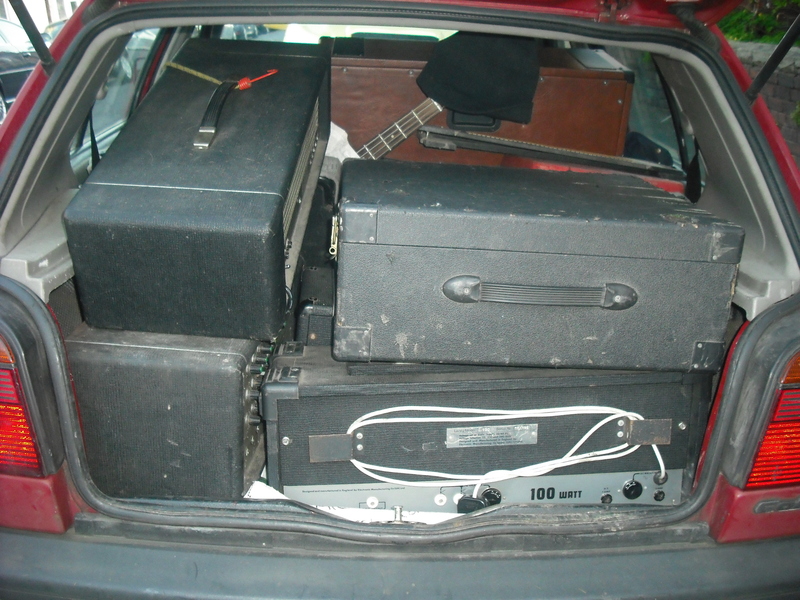 Took a trip up North to gather various things from various places. The SC200 at the bottom was main point of trip, more 200w iron. 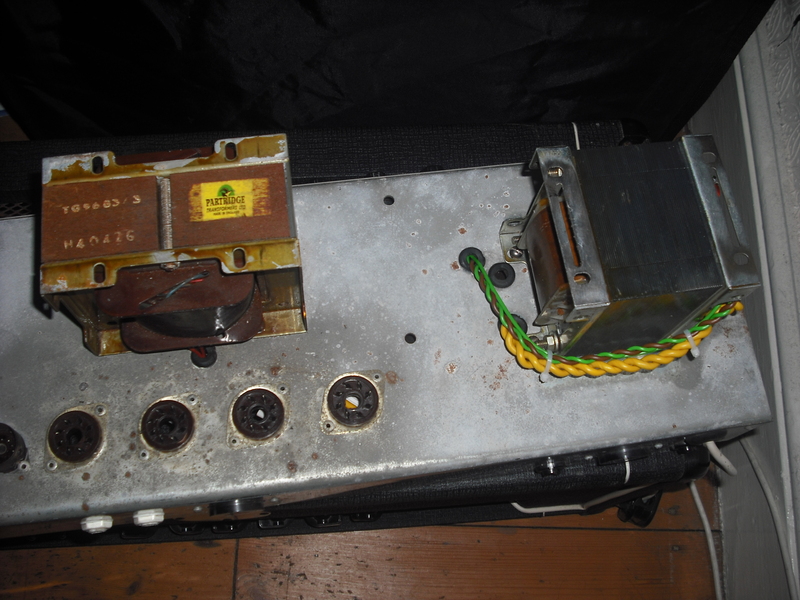 Gutting thing is, someone has converted it to solid state, so no useful iron or valves in it. 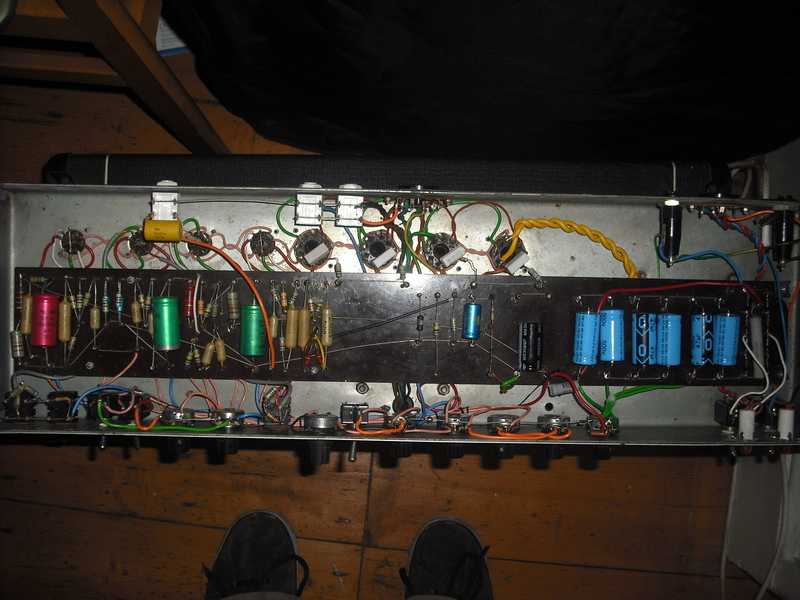 Total timewaster, good for the chassis and knobs. 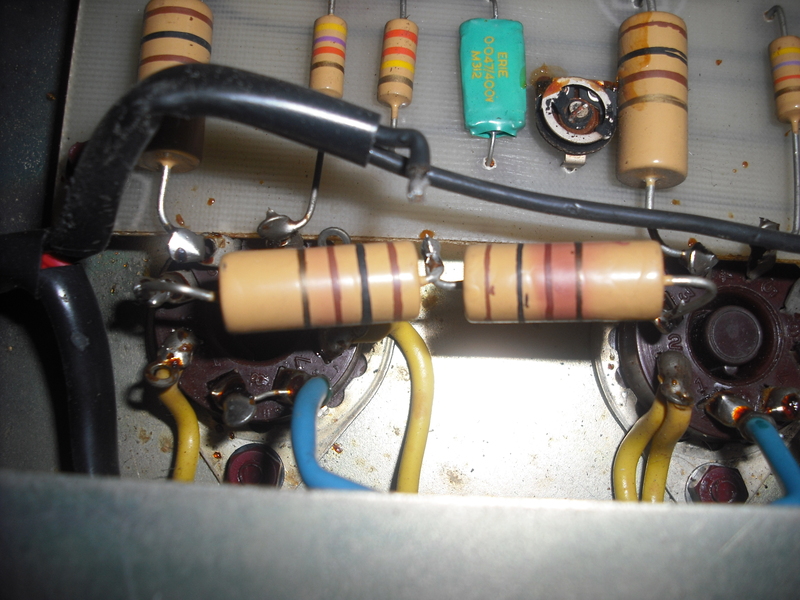 Lots more cleaning up and fitted the cap that is in the previous photos, resoldered lots of things that looked dodge, totally missed the disconnected resistor from the volume pot that is really obvious now I look at the pics. As a result, one channel worked fine and the other didn’t. Now that is sorted good to go. Again not really anything interesting to picture. But comment if you want to see glowing valves pics. 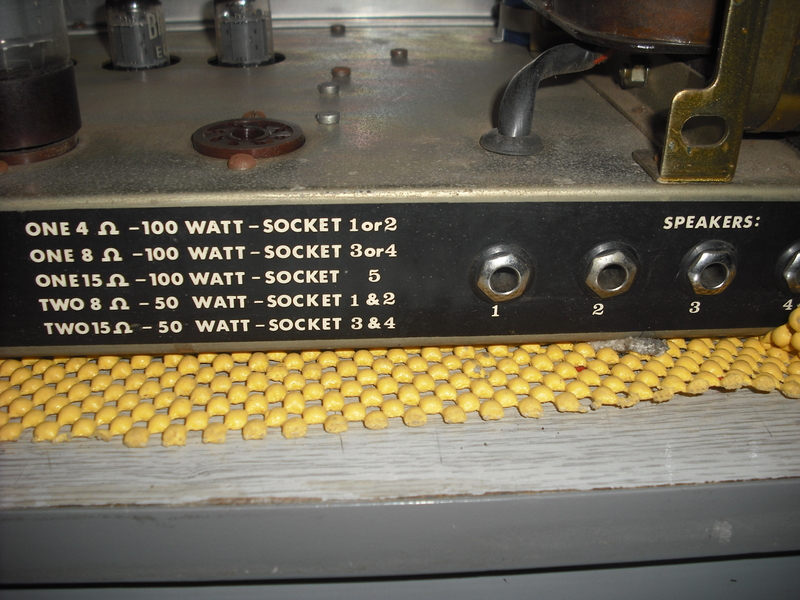 Also if anyone wants funny electrolytic capacitor values put a comment, I can order them made but need to order at least 1000, if people can get together it might be doable, I assume people reading this blog are into the amp tinkering. 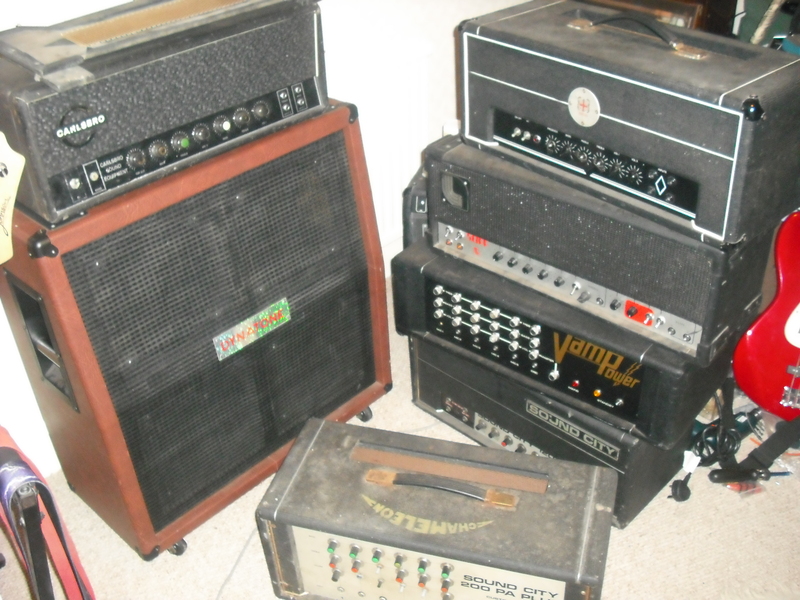 Edit: Worth noting the amps I’ve just been fixing are all for sale. Hit me up if interested.